We appreciate all the expertise, hard work, and especially patience from you and your staff in constructing our website. My experience with Dentist Design has been excellent. I was referred by 2 separate SEO experts that highly recommended them. From the first email, the whole situation as smooth as can be…. I love the new website. I truly believe a custom site looks SO MUCH better than a canned normal site. 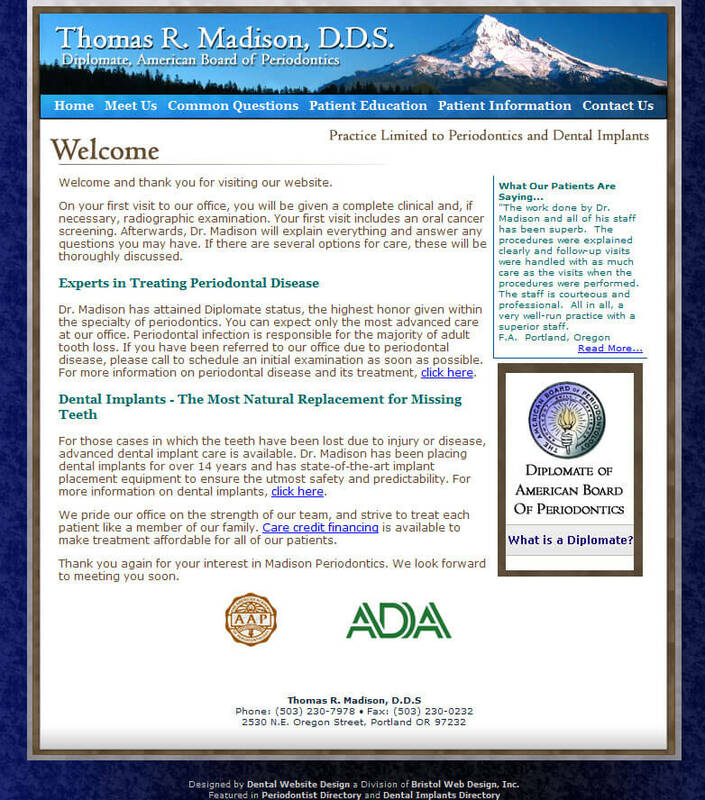 The site went live last week and we’ve already had 4 new patients from it! © 2018 Bristol Web Design, Inc.